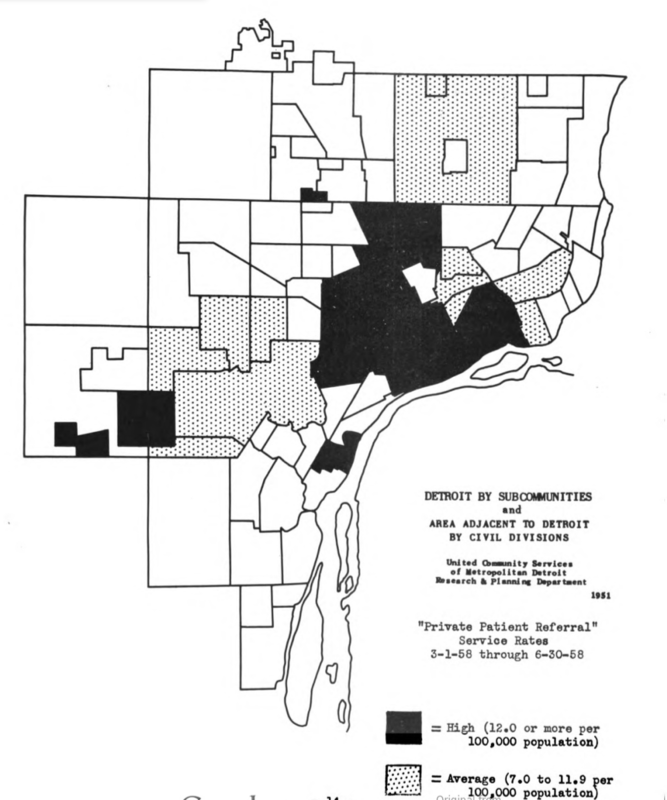 This map accompanied “A study of Detroit Dental Aid’s private patient referral service” for the Dental Coordinating Committee of the Planning Committee for Health Services. Still today access to health care is difficult due to limited service providers. Much of Detroit is designated by the MDCH as a “medically underserved area” and the picture for dental care looks very similar. 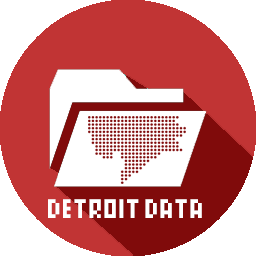 The MDCH and Detroit Health recently was accepting proposals to improve dental care access for the Detroit area. A number of community dental clinics exist including University of Detroit Mercy (UDM) Dental School’s clinic.